What's Up? The Space Place: WHOA>>>>PIECE OF MARS GOING TO, WELL, MARS!!!!!! WHOA>>>>PIECE OF MARS GOING TO, WELL, MARS!!!!!! NASA's Mars 2020 Rover is going to take a piece of Mars - a slice of a Martian Meteorite called SAU 0008 - BACK TO MARS! This is a space first as we have pieces of the asteroid belt, the Moon and Mars in the 57,395 catalogued meteorites (space rocks) that have been found on Earth as of Feb. 9, 2018. Oh, and we have discovered FIVE meteorites on MARS using our rovers on the Red Planet. 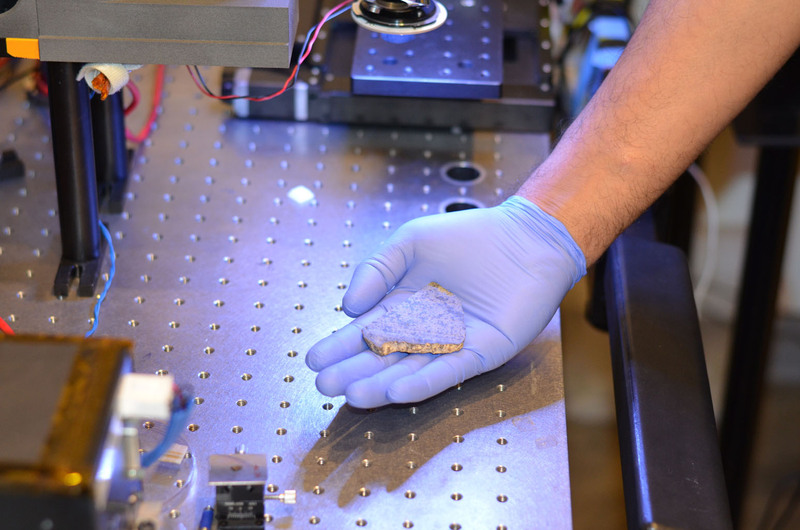 The returned Mars space rock will be used to help calibrate the laser on the Mars Rover 2020 and help it prepare for examining other Mars rocks.